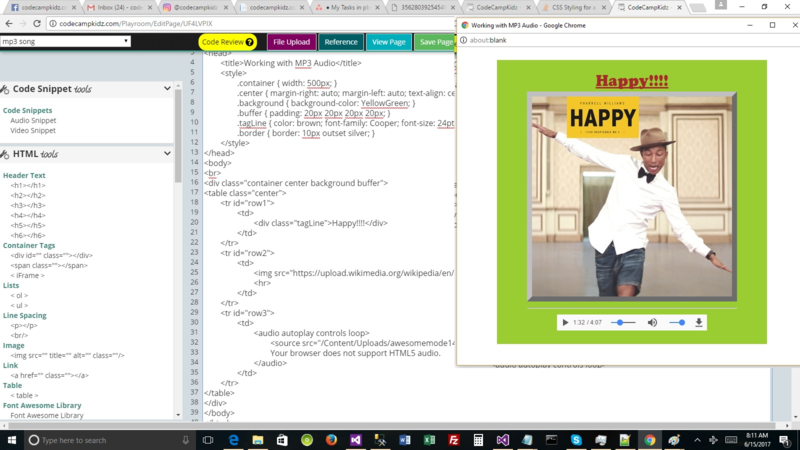 Ready to learn how to code for REAL? 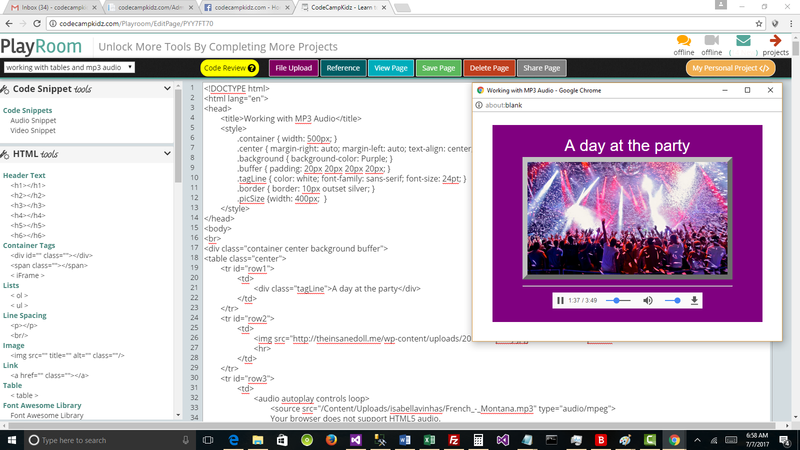 Build your website programming skills with CodeCampKidz's fun and achievable online platform. You'll work with experienced professional coders, overcome obstacles, build problem solving skills, and develop confidence as an independent web developer. Work your way through three levels of expertise, project by project, to understand how it all works together. 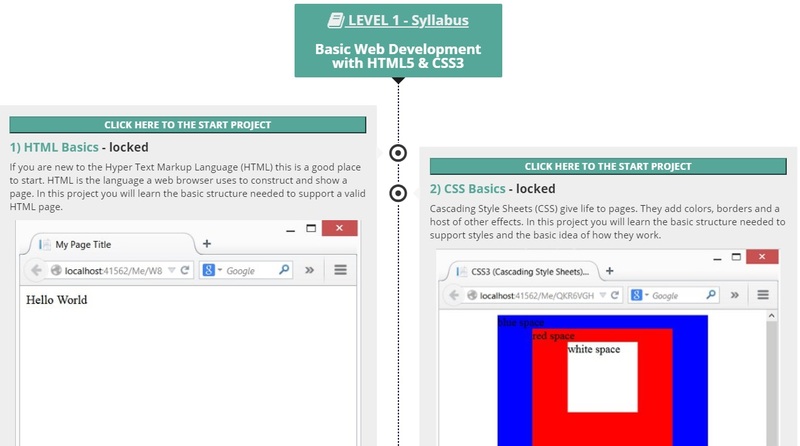 In our free classes you will learn the basic building blocks of website development with HTML & CSS, make your own web pages step by step, and experience the satisfaction of bringing your own designs to life. 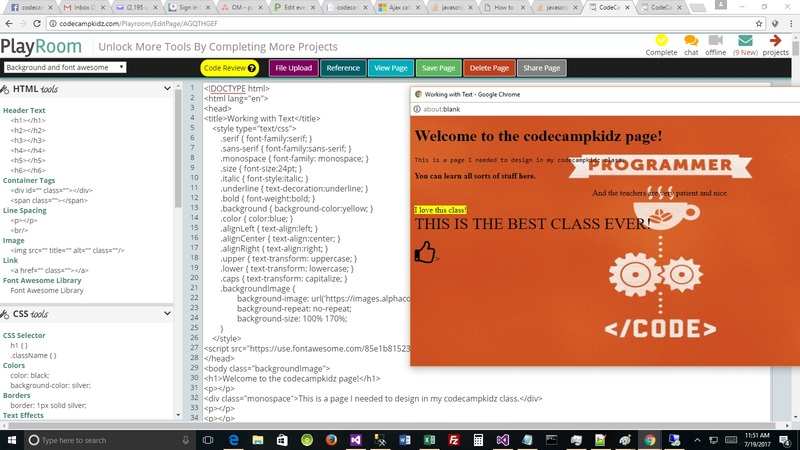 CodeCampKidz is an online self-paced mentoring program that enables experienced coders to work with young learners in real time using free Zoom Video Conferencing Software. We will take you on a tour through various programming languages and toolkits, connecting the dots and showing you how it all works together. 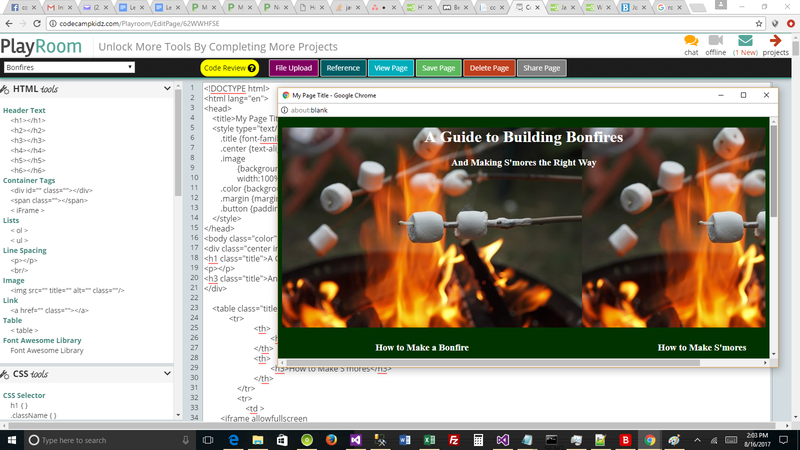 After your first class you can work on your projects when you want or join us and work with an instructor in real time. Audio capability is required, sharing your video is optional. Build Your Own Projects Pick up where you left off and work your way through the project catalog one project at a time. 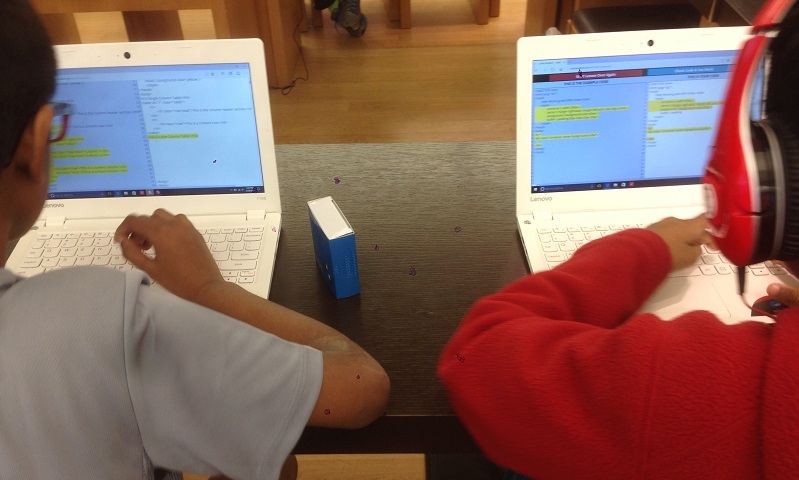 Proven Fun & Achievable Learning Experience We taught at the Microsoft Stores for years. Now we bring the same program home to you online. 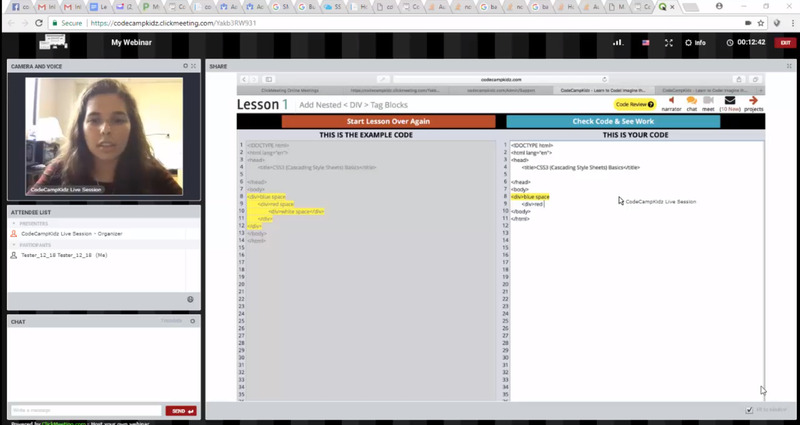 Learning to code can be overwhelming & confusing depending on how it is taught. That's why our line by line, step by step approach is so effective. You'll experience what it is like to be a programmer first hand while you bring your projects to life. Our online instructors are available daily so you will always have someone to work with in real time when you need guidance or get stuck. Your Own Space Show your projects to the world. We provide the hosting for free. You will design your own projects, overcome obstacles and solve problems while bringing your ideas to life. Our online instructors will be there to get you un-stuck, answer your questions and offer you guidance. They will help you become an empowered, self-reliant developer on your schedule project by project. CodeCampKidz has been running for 5 years now. Our original kids are in high school. Here's what Mom & Dad have to say. Click HERE for a range of examples in the student showcase. Just confirming last class for the boys tomorrow after school….they loved it. A few, including my William, signed up for computer science electives for 9th grade so you certainly inspired them! Wish we had more time for next level but Spring sports are upon us! Thank you for your follow up. Angie enjoyed your classes, so this summer I taught her Scratch and Python. She just started High School, and is now in a programming club. I think your enthusiasm helped her become more interested in programming. We Will Teach You The Basics of Web Development To Get You Started! The First 4 Projects & 2 Live Classes Are FREE! All you will need to participate is a modern browser like Chrome or Edge. To interact with your instructor, you should at least have a computer with audio capability (speakers & microphone). Video is optional.